Nokia's first smartphone for Android will be released exclusively in China. Nokia is launching a comeback -- in China. If you are a cell phone user of a certain age, you likely have a soft spot for the Nokia brand. In the late 1990s and most of the aughts, Nokia dominated the mobile phone market with its compact and affordable devices. And who could forget that iconic ring tone? But the arrival of smartphones, notably Apple's iPhone in 2007, brought Nokia's global supremacy crashing down. Now, the Finnish brand is having another go at smartphones, and it's betting on the huge and fiercely competitive Chinese market as the place to start. The first Nokia smartphone for Google's Android operating system was unveiled at the CES tech show in Las Vegas on Sunday. The Nokia 6 will be available exclusively in China, through online retail giant JD.com (JD). In reality, it's no longer the old Nokia mobile handset business that's making the phones. It licensed out the use of its brand to fellow Finnish company HMD Global last year after suffering waves of heavy cuts by its owner Microsoft (MSFT). In a nod to Nokia's bygone popularity, JD.com executive Shengli Hu said the partnership with HMD will help Chinese consumers "reconnect with Nokia phones." HMD is entering a very crowded field. Global giants Apple (AAPL) and Samsung (SSNLF) are already battling popular homegrown brands Oppo, Vivo, Huawei and Xiaomi for a share of China's lucrative smartphone market. Nokia still enjoys brand awareness in China, but that doesn't guarantee success. "Chinese consumers recognize the Nokia brand for sure, but how much of that will transfer to a buying decision? How many people will pay for it?" said Nicole Peng, a China smartphone expert at tech research firm Canalys. Priced at 1,699 yuan ($245), or about a quarter of the price of a new Apple iPhone 7 Plus in China, the new Nokia phone is targeting the middle of the market, a place where international brands like Samsung have faltered, Peng said. Winning over young buyers will be another hurdle for Nokia in China. "People born in the 1990s or 2000s don't know Nokia, they are using newer brands," said IDC analyst Jin Di, who covers the smartphone market in China. Jin predicted a difficult launch, noting that the phone's features are unlikely to attract a big following. 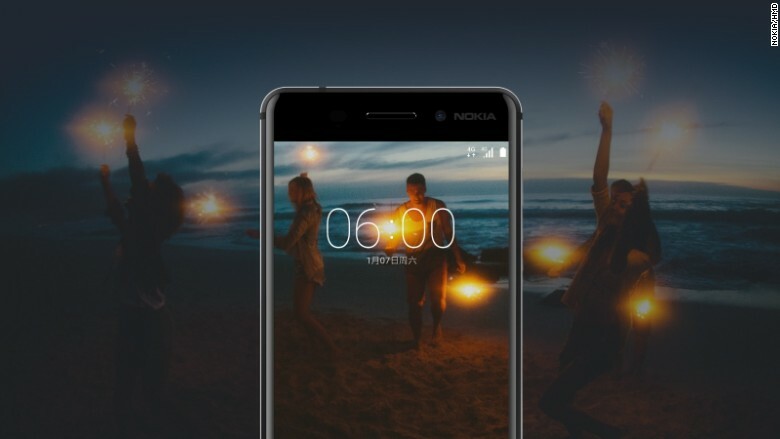 The Nokia 6 shares similar features to current smartphones on the market -- a 5.5 inch screen, HD resolution, and front and rear facing cameras. Nokia was once the dominant player in China. At its peak in 2010, the company sold 82.5 million mobile devices in the country. But after failing to adjust to the shift to smartphones, it sold its struggling mobile phone business to Microsoft in 2013. Nokia (NOK) still exists as a separate company that makes technology for telecommunications networks.